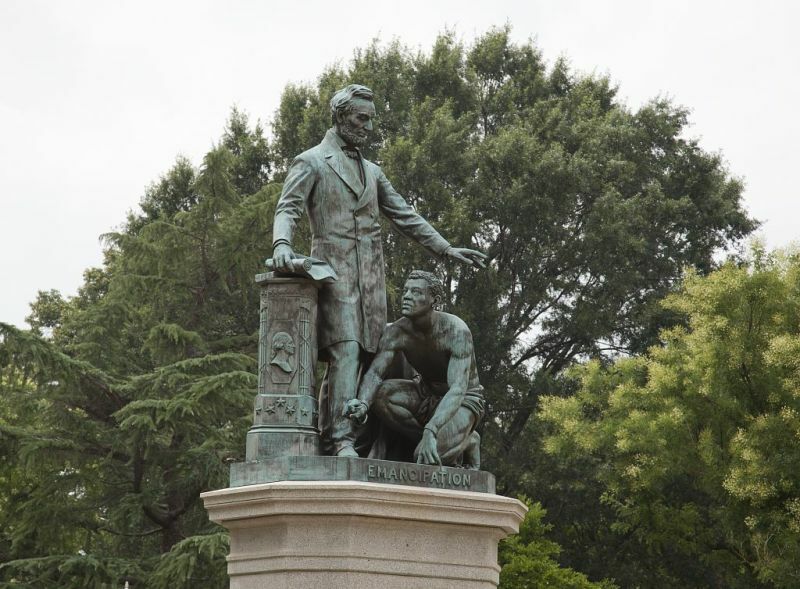 Located in Lincoln Park on Capitol Hill, the Emancipation Memorial (sometimes referred to as the Freedman's Memorial) features President Abraham Lincoln with the Emancipation Proclamation in his right hand and holding his left hand over the head of a liberated slave kneeling at his feet. 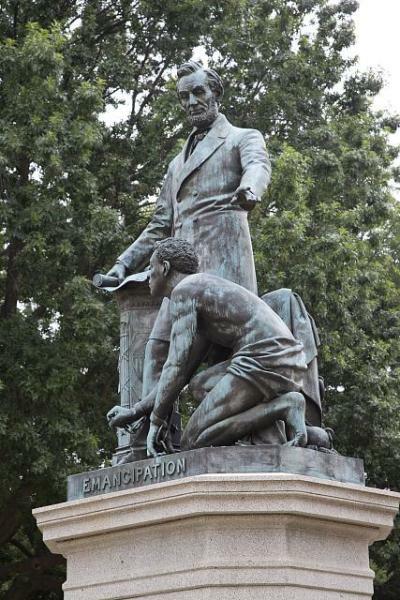 The bronze statue, designed by sculptor Thomas Ball, was built almost entirely with funds donated by former slaves and dedicated in 1876. The statue was unveiled on the 11th anniversary of Lincoln's death, with Frederick Douglass delivering the keynote address to President Ulysses S. Grant and more than 25,000 people in attendance. In 1974 the statue was rotated east to face a memorial built to honor Mary McLeod Bethune, also located in Lincoln Park. Lincoln Park is managed by the National Park Service and open daily.